Vignacourt, french village, fabulous heritage. Vignacourt is a Picardy village located 150 km from Paris and 20 km from Amiens. This region in northern France, includes three departments: Aisne, Oise and Somme. In 2016, politicians have renamed our region by "Hauts-de-France" (as Highs of France). The Bay of Somme is one of the most beautiful bays in the world. You can see a various wildlife at the Marquenterre’s park. (with huts for photographers). 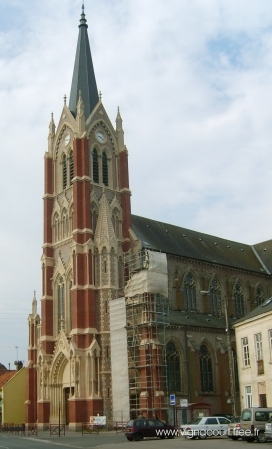 Amiens city has a Gothic masterpiece whose construction began in the 13th century: the Cathedral. 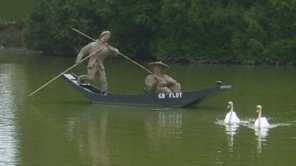 This world heritage monument is located near the Saint-leu district nearby the floating gardens. These floating gardens are another feature of our beautiful region is a whole of canals to visit by small boats in the middle of gardens. Our village benefits from of a great church and a cultural heritage recognized by experts, as one of the most important recent discoveries of World War I: the Thuillier collection. The water point was formerly known as "the big flow".